A total of 17 current and former writers, cartoonists and executives from Cumhuriyet ("Republic") are currently on trial on terror charges. 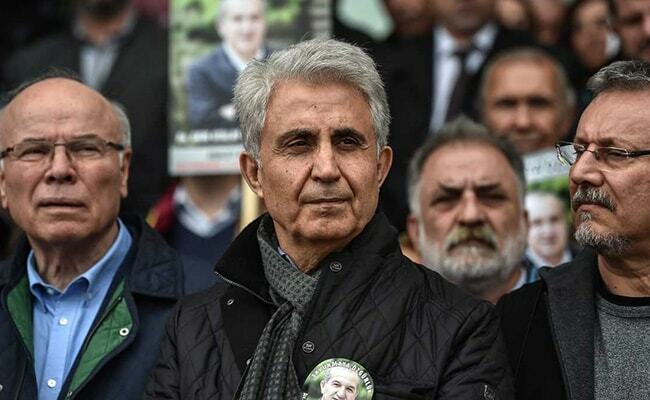 Istanbul: Turkish prosecutors on Friday demanded prison sentences of up to 15 years for 13 staff from the opposition Cumhuriyet newspaper, the daily and state media reported. A total of 17 current and former writers, cartoonists and executives from Cumhuriyet ("Republic") are currently on trial on terror charges in a case which has raised alarm over press freedom under President Recep Tayyip Erdogan. The trial began on July 24, 2017, and despite several conditional releases in previous hearings including two last week, the paper's chairman Akin Atalay remains in jail. The prosecutor requested between 7.5 and 15 years in jail for 13 staff for "helping an armed terror organisation without being a member" during the hearing in Istanbul, Cumhuriyet and state news agency Anadolu reported. The 13 included Atalay, the daily's editor-in-chief Murat Sabuncu, investigative reporter Ahmet Sik, cartoonist Musa Kart and veteran political commentator Kadri Gursel. Cumhuriyet did not specify what the prosecutor demanded in relation to the others. The prosecutor also asked that Atalay -- who spent his 500th day in prison on Wednesday -- remain behind bars. The Cumhuriyet staff have been accused of coverage which offered support to three groups Turkey views as terrorists -- the Kurdistan Workers' Party (PKK), the ultra-left Revolutionary People's Liberation Party-Front (DHKP-C), and the movement of US-based preacher Fethullah Gulen who is accused of ordering the July 2016 attempted coup. The P24 press freedom group said this week there were 153 journalists behind bars in Turkey, most of whom were arrested under the post-coup state of emergency. Turkey ranked 155 out of 180 countries listed in the 2017 World Press Freedom index published by Reporters Without Borders (RSF).